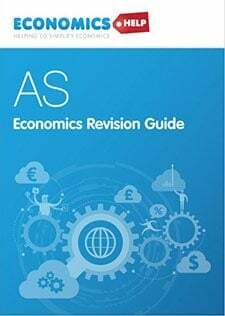 Readers Question: Can anyone explain the reasons why the Banking Crisis may have brought about increased unemployment? 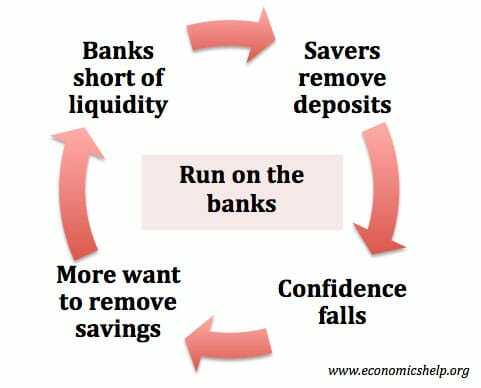 A banking crisis implies major banks run short of money (liquidity). In a severe banking crisis (e.g. Great Depression 1929-32), some banks may go out of business. If banks do face liquidity shortages or worse, it will have a major impact on savers, business and consumers. 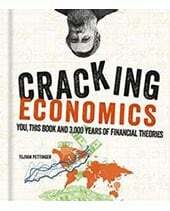 Major banking crisis invariably effect economic growth and can cause unemployment. In the recent banking crisis, banks cut back on lending. This meant firms didn’t have the funds to finance investment. If banks are short of liquidity, they will be less willing to lend money to firms and consumers. In particular, banks will be reluctant to lend to business which are taking risky investments. Therefore, firms who wish to borrow money to finance investment may find it very difficult to get a satisfactory loan. As a consequence, the firm will reduce investment and employ fewer workers. If there is a significant fall in investment levels, then this will lead to lower economic growth and higher unemployment. 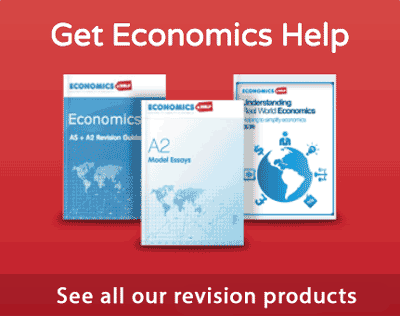 Investment accounts for approx 15-20% of aggregate demand so have a significant impact on economic activity. 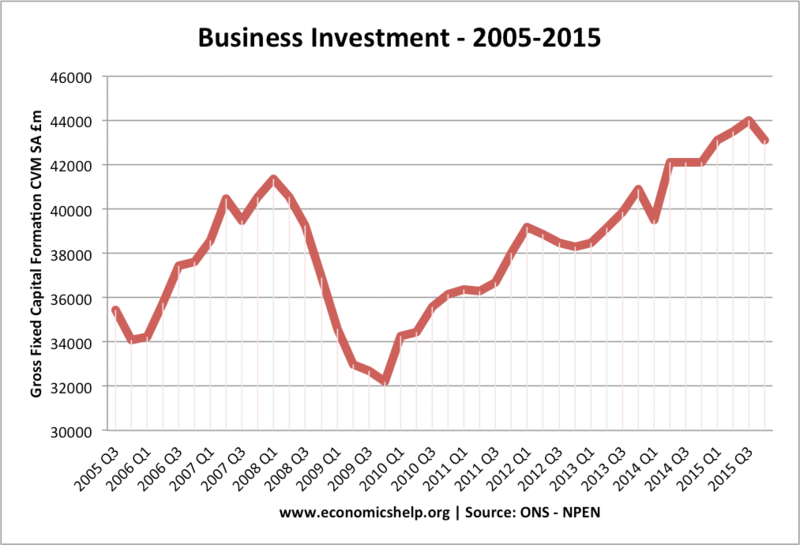 After the credit crunch, UK business investment fell 20% caused primarily by the banking crisis and the subsequent recession. For example, after the credit crunch of 2008, many banks in the UK, US and Europe were short of funds (they had lost money lending to subprime mortgages). They needed to improve their balance sheets, therefore loans to business dried up leading to a prolonged period of negative economic growth and rising unemployment. Despite a cut in interest rates to 0.5%, many businesses complained they couldn’t gain access to finance. Investment tends to be quite cyclical. A fall in investment levels causes lower economic growth, but this lower growth has a knock on effect; with lower demand, firms cut back further on investment levels. With declining investment, some workers are made redundant from less investment, but as there is also lower economic growth, it causes job losses in other sectors like retail – which sees a general decline in demand. Any banking crisis will have an impact on general economic confidence. News about a banking crisis will tend to make people more risk averse. Consumers will prefer to increase savings and reduce spending. If consumers fear savings are not safe in a bank, they will also switch to cash saving and not keep money in a bank. 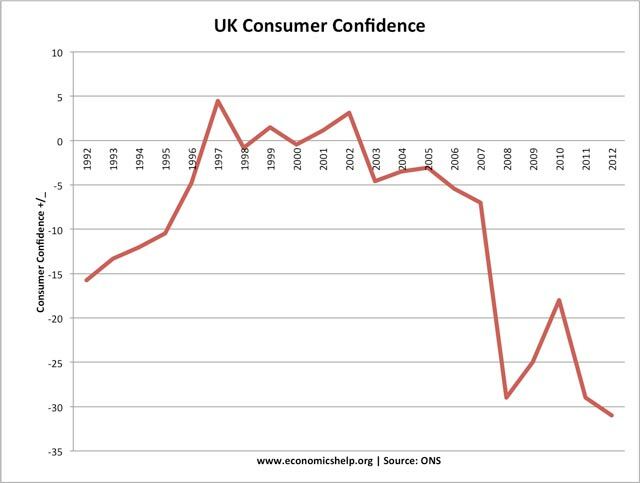 At the start of the banking crisis in 2008, we see a sharp fall in consumer confidence, which mirrors the decline in real GDP. As consumer confidence falls, they reduce spending, therefore there is less demand for goods. Because firms are producing less, they respond by laying off workers. Firms may go out of business causing significant unemployment. 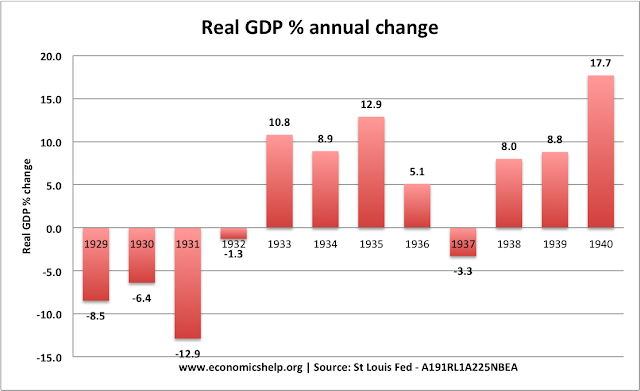 Impact of banking crisis causing deepest recession since the 1930s. 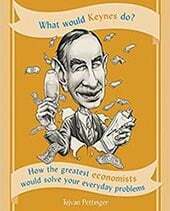 The unemployment resulting from the banking crisis was primarily demand deficient unemployment. 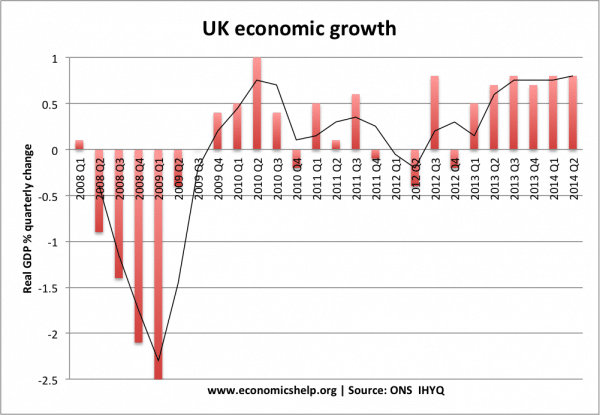 It is unemployment caused by a decline in investment and consumer spending and the overall fall in aggregate demand. 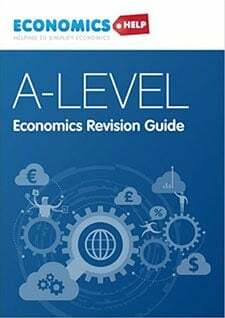 In the UK, there were some job losses from the financial sector, with banks laying off workers to try and reduce costs. However, most of the unemployment was in other sectors, sectors indirectly affected by the banking crisis. 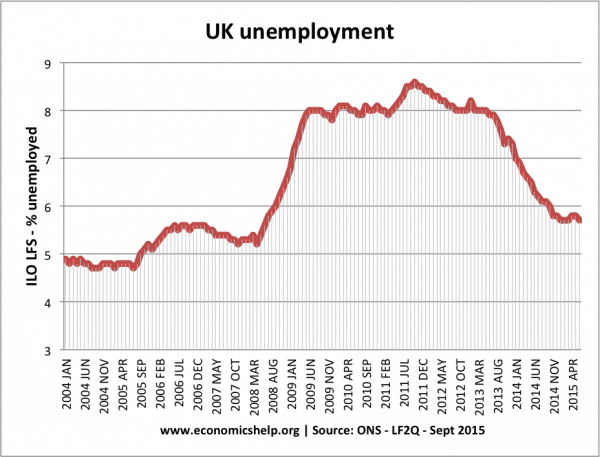 In the UK recession of 2008-13, unemployment rose less than we might have expected. One reason is that we have seen more flexible labour markets – for example, a growth in under-employment – people on zero hour contracts and working part-time. Unemployment has also fallen post-2012 as the economy has recovered. In the Great Depression, the US had a major banking crisis. Many medium-sized banks went totally out of business because there was no lender of last resort. In the first 10 months of 1930 alone, 744 US banks went bankrupt and savers lost their savings. There was a banking panic, with people queuing up to withdraw money. 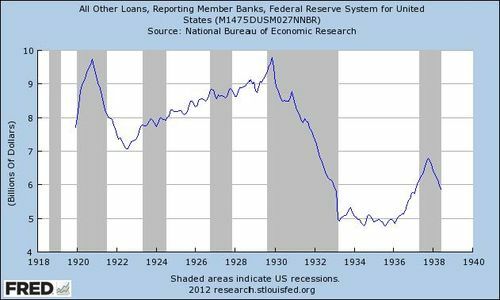 This banking collapse led to a significant fall in the money supply and a decline in normal economic activity leading to the mass unemployment of the 1930s. This banking crisis played a major role in the great depression and negative economic growth of that period. In the recent banking crisis, governments were much more reluctant to allow banks to fail (with the exception of investment bank Lehman Brothers). This is why we saw major bank bailouts. However, although major banks were ‘saved’ from bankruptcy, they still altered their behaviour and were reluctant to make loans as they needed to recover their losses from previous bad loans. This shortage of finance in the banking sector fed through into the normal business sector. Another cause for concern is the impact of falling oil prices. Because prices have fallen so much, there is a danger that banks will make large losses, leading to lower investment and a repeat of falling demand.